Samsung is said to be pondering a potential spin-off of its money-losing LCD business, which has in the past supplied display panels to Apple for devices like the iPhone and iPad. The potential move comes as Samsung's display panel business lost $669 million last year, according to the Financial Times. By spinning off its LCD business, the new operation could focus more on building OLED panels, and could also find it easier to sell displays to companies that are competitors of Samsung. Wednesday's report noted that Apple and other rivals have been reluctant to buy LCDs from Samsung, as Samsung also competes with those companies by building its own smartphones and tablets. It noted that Apple has largely relied on Samsung competitor LG for iPhone and iPad displays. That competition between Samsung and Apple has caused a major rift between the two companies, even though Samsung remains a significant supplier to Apple. Last April, Apple sued Samsung and accused the Korean electronics maker of copying the look and feel of the iPhone and iPad, and lawsuits between the two companies have grown ever since. Samsung said on Wednesday that it could spin off its LCD division, enabling it to merge with Samsung Mobile Display, which makes next-generation organic light emitting diode (OLED) displays. OLED is largely seen as the technology that will replace LCD, as it is more power efficient and brighter, and allows for thinner devices. 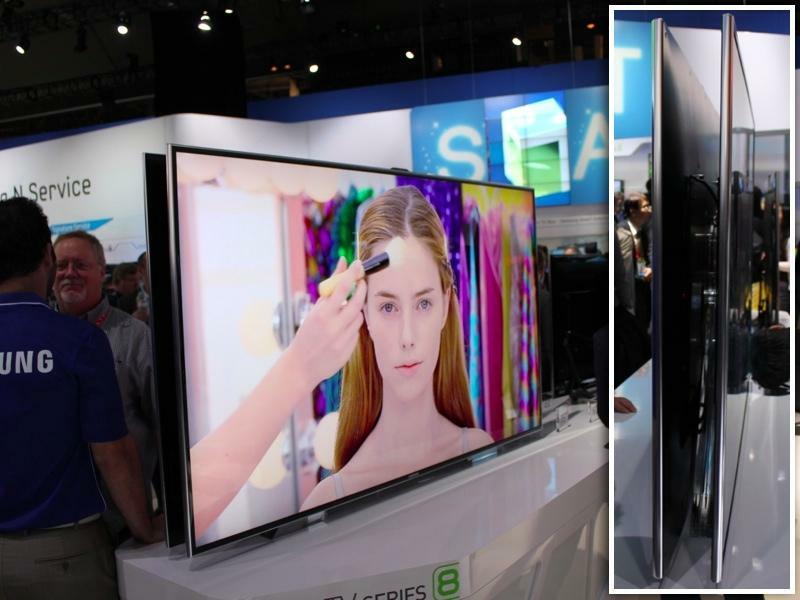 At last month's Consumer Electronics Show, Samsung showed off a 55-inch OLED display that the company will bring to market this year. When it arrives, the HDTV will be the largest OLED display available for consumers to purchase. No price has been set for the forthcoming panel. Rumors have persisted for years that Apple has explored using OLED displays for devices like the iPhone and iPad, but those claims have never panned out. Last May, one report alleged that Apple CEO Tim Cook, then the company's chief operating officer, had met with Samsung to discuss switching to an AMOLED display for the third-generation iPad. But that device, expected to be unveiled March 7, is rumored to have a high-resolution Retina Display that will likely be LCD, not OLED. The news that Samsung could spin off its LCD business comes as Apple is rumored to be working on its own full-fledged television set, which would place it in a market where Samsung has competed for many years. This week, one Samsung official said his company's expertise in building display panels will give it a leg up on any potential Apple television in terms of picture quality. AV production manager Chris Moseley said that the quality of the screen on an HDTV is the most important aspect of the product.